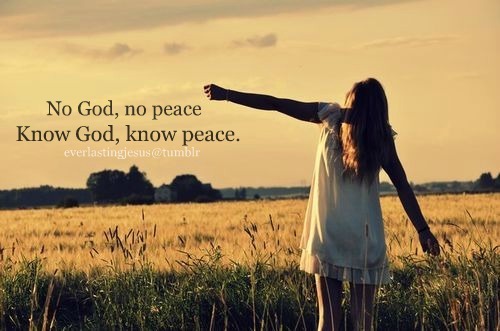 The only true peace comes from God! I think Philippians 4:6 is my life verse…it has pulled me through so much…GLORY TO GOD!!! Yes!! Me too! All Glory to Him!